SILICON VILLAGE: Can India Help Deal with its e-Waste Problem! Ask Indo-Australian Scientist? Can India Help Deal with its e-Waste Problem! Ask Indo-Australian Scientist? A IIT-trained Indo-Australian scientist Veena Sahajwalla, whose pioneering invention of the world’s first micro factory to tackle e-waste, has generated global attention, says the technology can be deployed at Seelampur and Mayapuri in Delhi to help “kabadiwallas” (waste collectors) make profit by creating value-added products in a safe and sustainable way. Sahajwalla, a materials scientist and Director of the Centre for Sustainable Materials Research and Technology (SMaRT) at the University of New South Wales (UNSW) Sydney, says the micro factories will not “displace” the kabadiwallas from their profession but help add to income generation and improve their lives in a big way. The professor, a recipient of the Pravasi Bharatiya Samman for outstanding achievement in science among numerous other awards, says the micro factories can be effectively deployed in Seelampur and other places where people work with waste, including e-waste, to create value-added products like decorative glass panels, acoustic panels with waste cloth and high-grade wood-plastic panels. The high-grade metals – like gold, silver, copper, palladium - in the e-waste can be separated by the micro factories for re-sale in conditions that are totally safe. Sahajwalla, who is in the capital and is to meet Indian government officials to discuss her invention, says that plastic comprises 40 percent of the e-waste and is usually burnt, adding to air pollution. “There is no reason to burn plastic… Micro factories can create filament with plastic,” she said at an interaction with select press persons here. She also said that the micro factories would fit in very well with Prime Minister Narendra Modi’s mission of Make in India and Swachh Bharat. A modular micro factory, which would require 50 sq metres area and can be located wherever waste is stockpiled, would help empower the people working with waste. The Mumbai-born Sahajwalla, who did her B.Tech in metallurgical engineering from IIT Kanpur in 1986, said it was UNSW’s “holistic approach to education” that helped her seamlessly venture into different aspects of research to be able to invent the micro factory, which was launched at the varsity earlier this year. According to Sahajwalla, material science students from India, including one doctoral and one post doctoral, are doing cutting-edge research at UNSW. She also said she would be happy to welcome and train any student with interest in sustainability to enroll at UNSW. Students could include entrepreneurs and graduates from different disciplines of engineering -- civil, material science, textiles, polymers, material sciences. According to UNSW, the micro factories, which are patented, could help Australia become a global leader in dealing with the problematic and rapidly expanding waste streams. Sahajwalla has also developed micro factories to transform wood-based waste material into high-grade wood-plastic panels for reuse in offices and buildings. India is among the top five countries generating e-waste, with around two million tonnes per annum produced, while the quantity recycled is about 438,085 TPA, an ASSOCHAM-NEC study says. 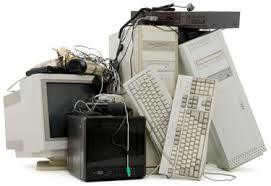 The other countries topping the chart of e-waste generation are China, USA, Japan and Germany. According to The Global E-waste Monitor, a report published by the United Nations University, the International Telecommunication Union and the International Solid Waste Association, humanity generated 44.7 million metric tons of e-waste in 2016, which is equivalent to 6.1 kilograms per person. According to the report’s findings, just 20 percent of e-waste was properly recycled in 2016. The vast majority (80 percent) was undocumented, likely to be dumped, traded or recycled under inferior conditions. An important point to ponder over: One tonne of mobile phones – 6,000 handsets – contains 130 kg of copper, 3.5 kg of silver, 340 gm of gold and 140 gm of palladium.